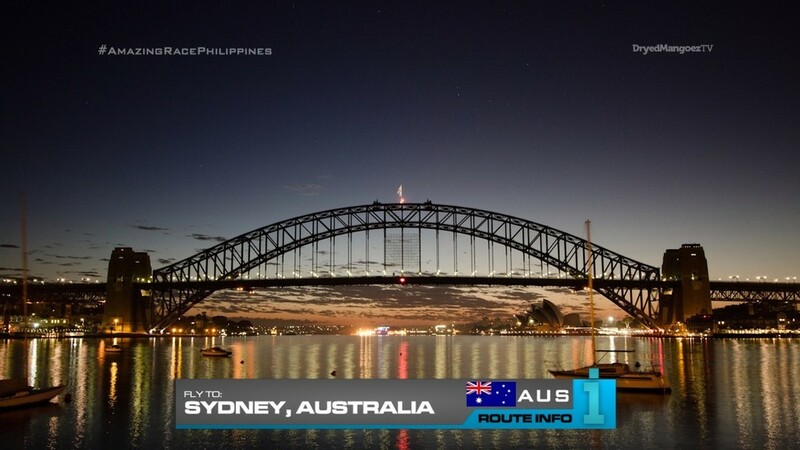 It’s time for the nine remaining teams to fly to Sydney, Australia! Teams will end up on one of two flights: One via Singapore arriving at 5:55am and one via Jakarta arriving at 6:05am. 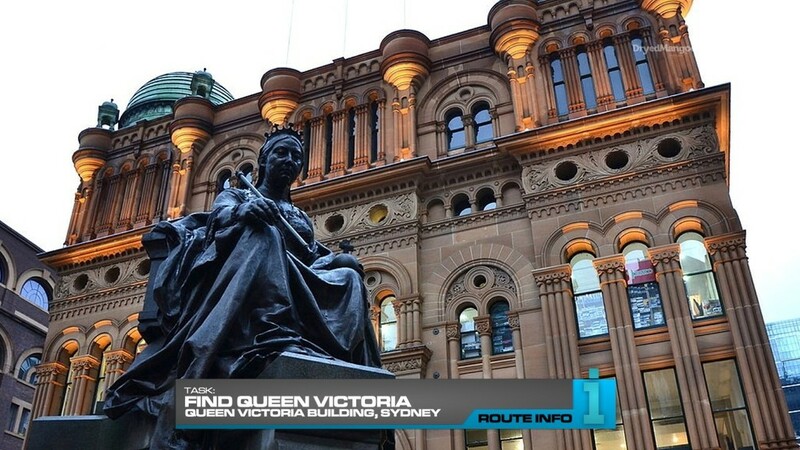 Once in Sydney, teams must find Queen Victoria. They will need to figure out that the next clue is located by the Queen Victoria statue at the Queen Victoria Building. And teams will find that they’re not staying in Sydney for long! 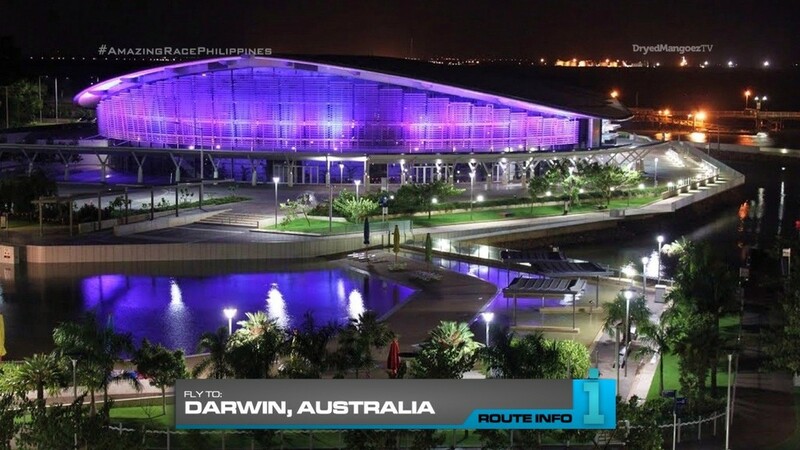 They must now fly to the city of Darwin! They will be on one of two flights arriving at either 12:05am or 1:05am. 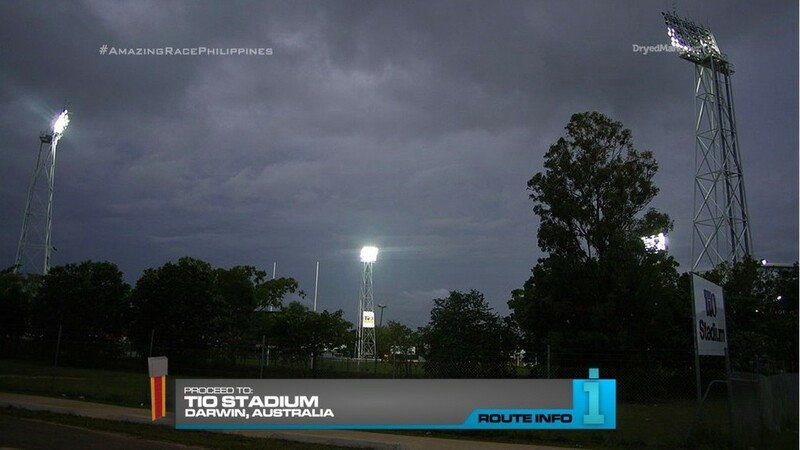 Upon arrival in Darwin, they must find marked brand new 2017 Kia Sportages in the carpark and drive themselves to Marrara Oval/Tio Stadium. But the stadium opens at 8am! 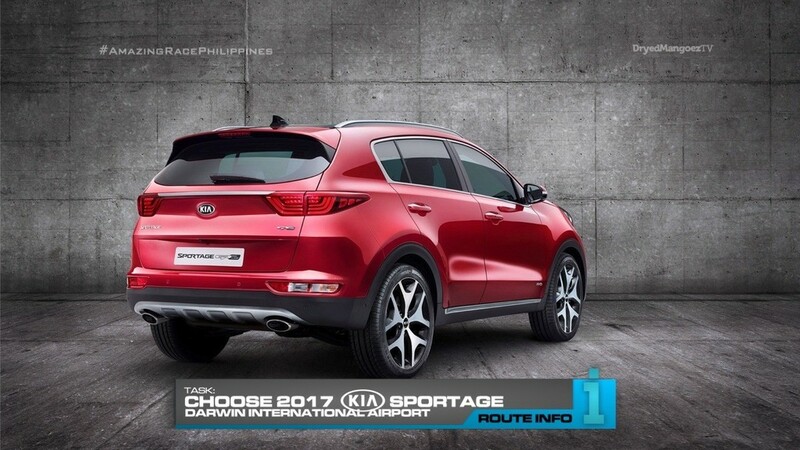 Teams will need to sleep in the comfy, spacious 2017 Kia Sportages. They will need that good night’s rest because next morning, teams will encounter a Duel Duel! 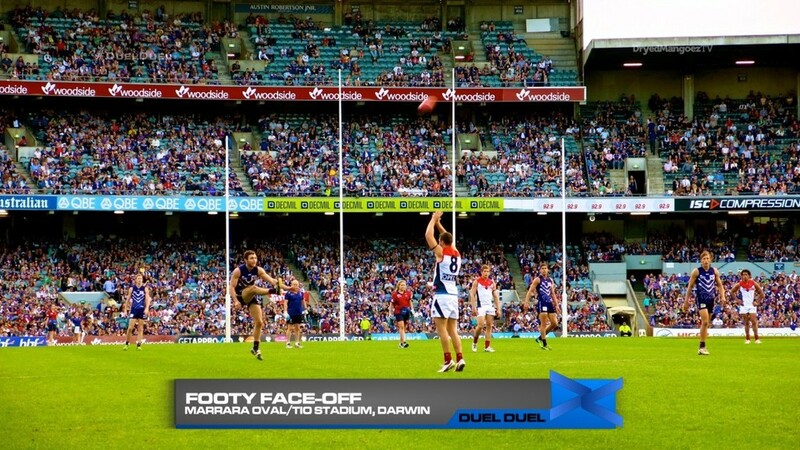 For this Duel Duel, teams will get to play Australian Rules football! Facing off against another team, each team must score one goal (6 points through goal posts) while each team member must score on either side of the “behind posts” (worth 1 point each). Each team will get one attempt for each. The team with the most points will receive the next clue while the losing team must face-off against the next. If there is a tie after all six scores are attempted, teams will move to a different angle on the field for sudden death. Teams will get one attempt each to score whatever they can. The team with the most points after this round will win. If still tied, teams will move to the opposite side of the field and repeat. But if neither team can win outright after these three rounds, they must both go to the back of the line. The last place team must now take part in a footy training exercise before being given the next clue. After the Duel Duel, teams will learn about the Detour: Nippers or Nipped At. In Nippers, teams will go through a nipper (young surf lifesavers) training course. Once they go through the training course and a brief competition against certified nippers, they will receive their next clue. 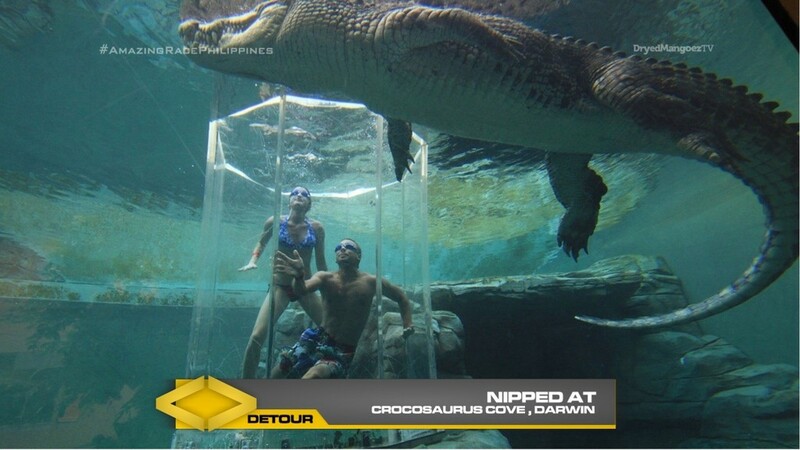 In Nipped At, teams head to Crocosaurus Cove where they will be lowered in a cage to feed the crocodiles, face-to-face. There are a limited number of slots available at any given time for both Detours. 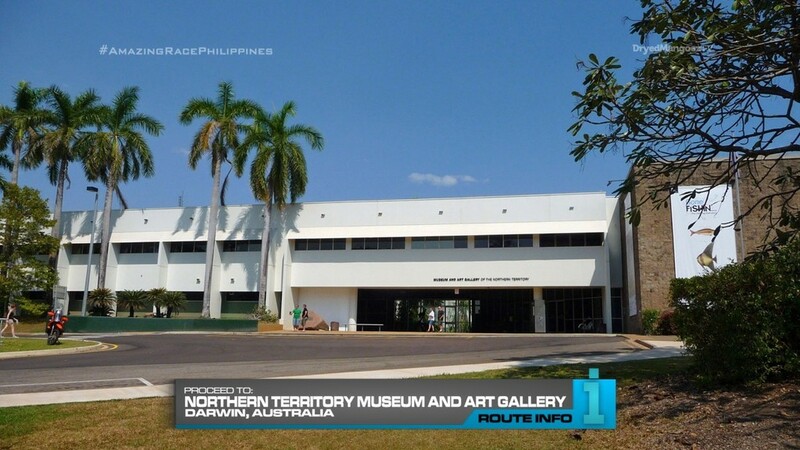 After the Detour, teams must search for “MAGNT.” They must figure out that they must head to Northern Territory Museum and Art Gallery. And here, teams will find the Road Block: Who’s good with faces? 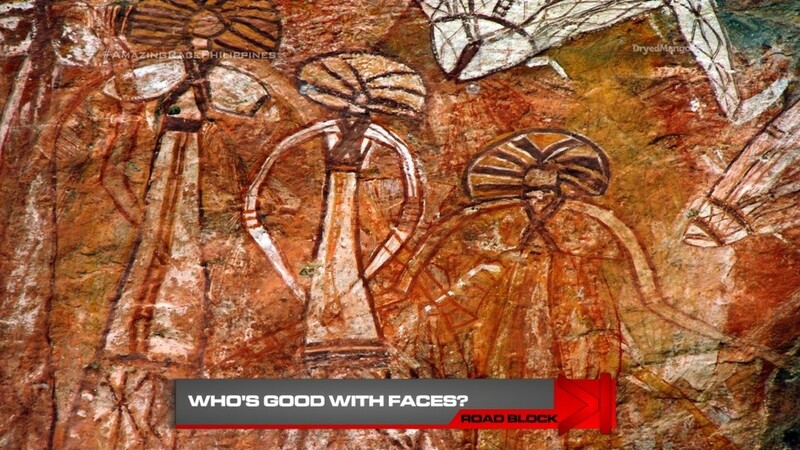 For this Road Block, teams must choose a photo of traditional aboriginal rock art and recreate the piece on their non-participating partner’s face. Once approved, they will receive the next clue. 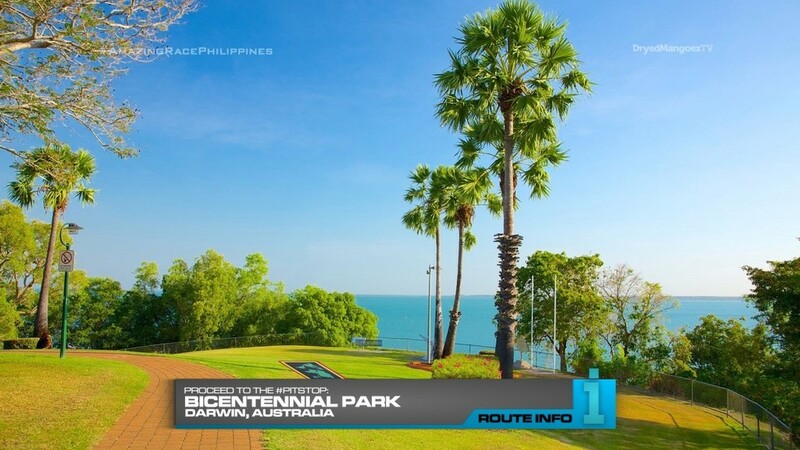 And that clue points teams to the Pit Stop in Bicentennial Park. Darwin has been on my wish list for a long time now. And yay! TARPHDME can finally check it off the list. This is a good spot for a Duel Duel. And it isn’t so difficult that it will automatically eliminate a team. Especially with two limited stations Detours. We can only hope teams will get frazzled by the limited stations. This is also a spot to consider placing a U-Turn, but I did not include one here with a Duel Duel. The Road Block is an interesting twist on a task from TARPHDM10 where teams put prosthetics on their partner’s face. I wanted to have something related to aboriginal history, but I wouldn’t know what other tasks are possible here in Darwin. I’ve never been in real life, you know. lol Anyway, this is a nice little Leg. Very fitting for an early Race-type Leg. ← Recap: Kamen Rider Ghost, Episode 31 – Strange! The Power of the Ganmeizers!